Written by Tim Chew, Managing Editor of Malaysia’s Hottest Bloggers. 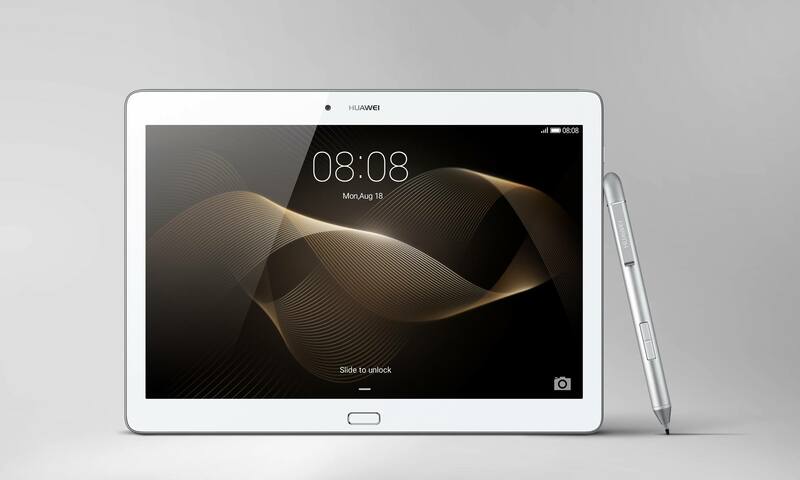 Recently we got our hands on the Huawei MediaPad M2 8.0 which is Huawei devices’ latest tablet. 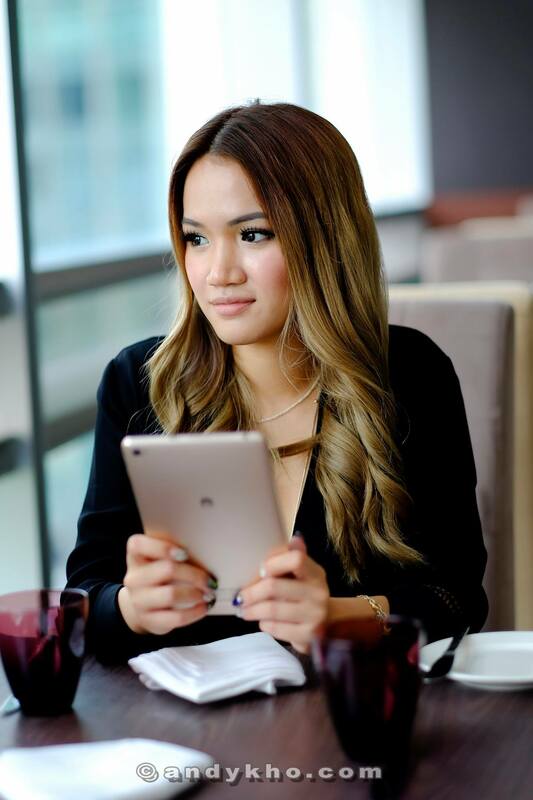 We decided to do a little shoot with Andy Kho shooting MHB blogger Stephanie Lim at Traders Hotel Kuala Lumpur. We shot in three (3) different locations inside the hotel – Gobo Upstairs Grill & Lounge, SkyBar and inside one of the hotel rooms. 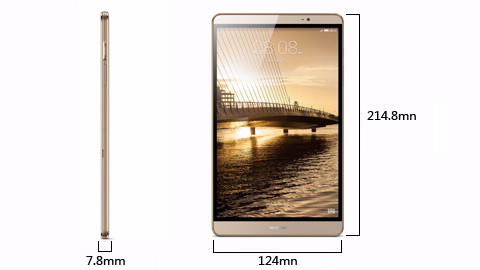 The Huawei MediaPad M2 8.0 was designed to offer a seamless audio experience paired with stunning visuals. This very slim tablet comes with a best-in-class audio, the device has dual stereo speakers and a PA power amplifier that creates clear tones with amplified volume, producing a balanced audio system that further enhances users’ entertainment experience. The Huawei MediaPad M2 8.0 utilizes Clari-Fi® music restoration technology by Harman Kardon along with Super Wide Sound 2.0 (SWS 2.0) that projects 180-degrees surround sound effect for a music quality with low distortion rate that allows users to listen to their favourite tunes with a lot more accuracy and sharpness. 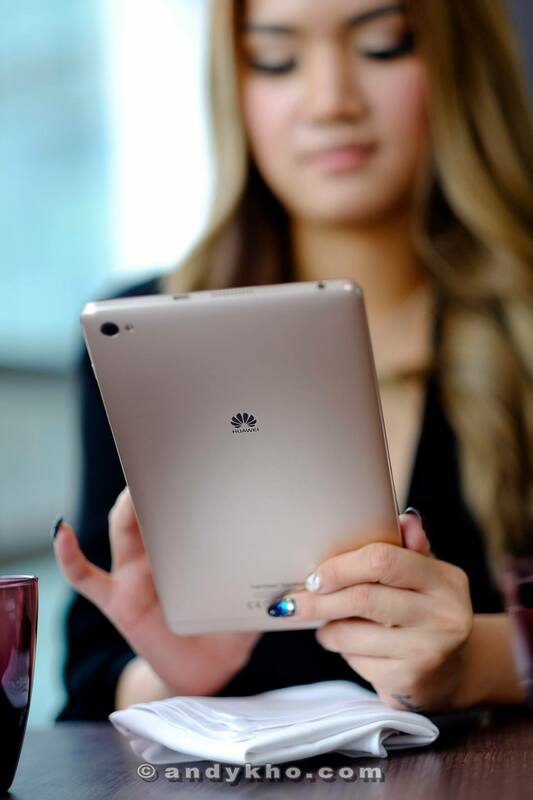 Complete with Huawei’s ClariVu® technology and 8-inch FHD IPS touchscreen, the device adjusts its display functions according to its environment, providing users ease of use and amazing visuals. Inspired by the theme of classical music, Huawei MediaPad M2 8.0 has a metal body and a sleek metallic texture that allows user-friendly grip. The parallel design of the stereo with dual speakers facilitates a harmonious acoustic enhancing feature that makes it an ideal home theatre on-the-go. Although the front camera is only 2 megapixel and thus not the best for selfies, Stephanie just couldn’t resist trying out the camera’s beauty mode and snapped this pic. Not too bad for a 2MP camera. 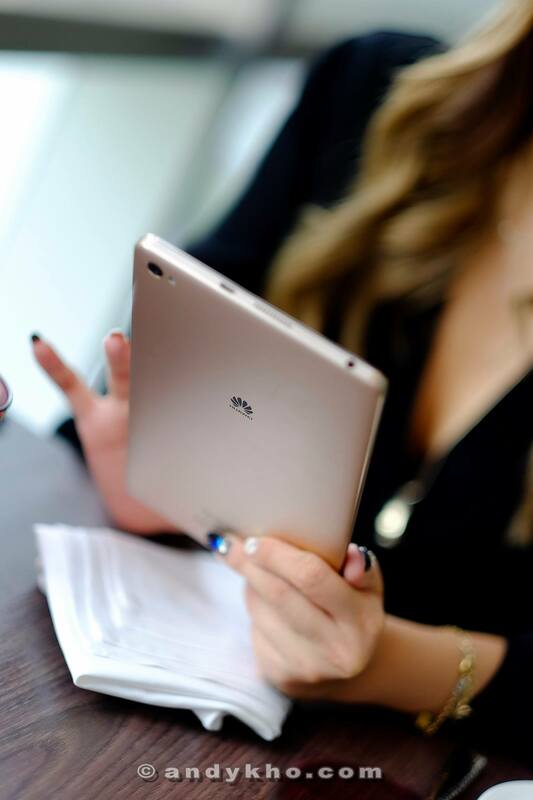 tomcat says – The Huawei MediaPad M2 is light and slim, has beautiful aesthetics and provides nice and rich sound from its dual speakers. The speakers are so powerful I normally have it at 25% loudness when I’m in a room otherwise it’ll be too loud! It’s great for entertainment and can play most games without any noticeable lag. However setting the graphics for games like World of Tanks to medium or high results in markedly decreased performance in terms of frames per second which makes the game jerky. It runs fine on the minimum plus a little extra graphics option but anything more than that will noticeably affect gameplay. Games like Clash of Clans and Boom Beach run smoothly unless there’s a hoard of 200+ enemies attacking at the same time which will then cause the game will slow down a bit. It’s great for entertainment and you can watch about two full length movies before it needs to be charged which makes it good for long haul flights. Bring a large powerbank along and that should last you for most of your flight. Besides gaming and movies, I’ve been using the M2 for checking social media like Facebook and Instagram, Gmail, and reading the news on apps like BBC. It certainly beats squinting at a smartphone screen and in fact when the M2 is around I don’t use my smartphone for anything other than calls or What’s App Messenger. Quite an handy companion and it’s great for chilling and browsing social media, listening to some music or watching a movie when you’re in the bedroom or out and about. The premium metal design will get it some looks as well as most people are used to seeing either iPads or plasticky tablets.